NASA's Kepler mission has verified 1,284 new planets – the single largest finding of planets to date. "Before the Kepler space telescope launched, we did not know whether exoplanets were rare or common in the galaxy. 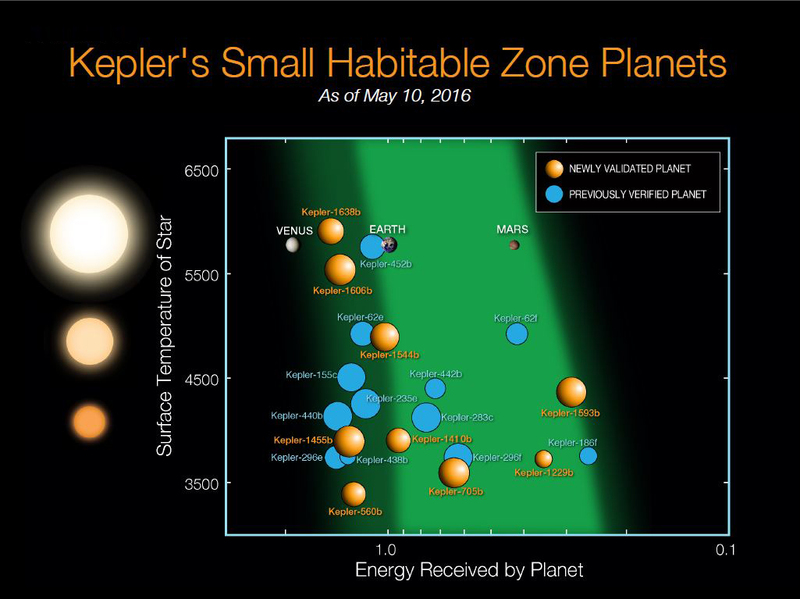 Thanks to Kepler and the research community, we now know there could be more planets than stars,” said Paul Hertz, Astrophysics Division director at NASA Headquarters. "This knowledge informs the future missions that are needed to take us ever-closer to finding out whether we are alone in the universe." "Planet candidates can be thought of like bread crumbs,” said Morton. “If you drop a few large crumbs on the floor, you can pick them up one by one. But, if you spill a whole bag of tiny crumbs, you're going to need a broom. This statistical analysis is our broom." In the newly-validated batch of planets, nearly 550 could be rocky planets like Earth, based on their size. Nine of these orbit in their sun's habitable zone, which is the distance from a star where orbiting planets can have surface temperatures that allow liquid water to pool. With the addition of these nine, 21 exoplanets now are known to be members of this exclusive group.